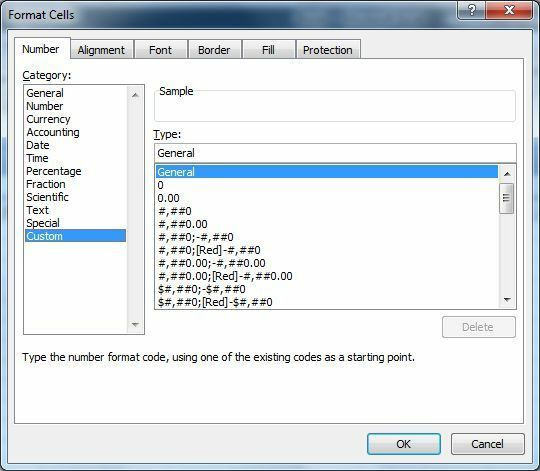 You can use the following number format code guidelines when you create a custom number format. To display both text and numbers in a cell, enclose the text characters in double quotation marks (" ") or precede a single character with a backslash (\). Include the characters in the appropriate section of the format codes. For example, type the format $0.00" Surplus";$-0.00" Shortage" to display a positive amount as "$125.74 Surplus" and a negative amount as "$-125.74 Shortage." To create a space the width of a character in a number format, include an underscore, followed by the character. For example, when you follow an underscore with a right parenthesis, such as _), positive numbers line up correctly with negative numbers that are enclosed in parentheses. To repeat the next character in the format to fill the column width, include an asterisk (*) in the number format. For example, type 0*- to include enough dashes after a number to fill the cell, or type *0 before any format to include leading zeros. To format fractions or numbers with decimal points, include the following digit placeholders in a section. If a number has more digits to the right of the decimal point than there are placeholders in the format, the number rounds to as many decimal places as there are placeholders. If there are more digits to the left of the decimal point than there are placeholders, the extra digits are displayed. If the format contains only number signs (#) to the left of the decimal point, numbers less than one begin with a decimal point. # (number sign) displays only significant digits and does not display insignificant zeros.
? (question mark) adds spaces for insignificant zeros on either side of the decimal point so that decimal points align when formatted with a fixed-width font, such as Courier New. You can also use ? for fractions that have varying numbers of digits. To display a comma as a thousands separator or to scale a number by a multiple of one thousand, include a comma in the number format. To set the color for a section of the format, type the name of one of the following eight colors in square brackets in the section. The color code must be the first item in the section. To set number formats that will be applied only if a number meets a condition you specify, enclose the condition in square brackets. The condition consists of a comparison operator (comparison operator: A sign that is used in comparison criteria to compare two values. Operators include: = Equal to, > Greater than, < Less than, >= Greater than or equal to, <= Less than or equal to, and <> Not equal to.) and a value. For example, the following format displays numbers less than or equal to 100 in a red font and numbers greater than 100 in a blue font. 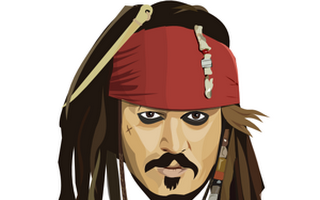 To apply conditional formats (conditional format: A format, such as cell shading or font color, that Excel automatically applies to cells if a specified condition is true.) to cells — for example, color shading that depends on the value of a cell — use the Conditional Formatting command on the Format menu. To enter one of the following currency symbols in a number format, turn on NUM LOCK and use the numeric keypad to enter the ANSI code for the symbol. Note Custom formats are saved with the workbook. To have Microsoft Excel always use a specific currency symbol, change the currency symbol selected in Regional Settings in Control Panel before you start Excel. For information on how to change regional settings, see Change the default country/region. To display numbers as a percentage of 100 — for example, to display .08 as 8% or 2.8 as 280% — include the percent sign (%) in the number format. To display numbers in scientific format, use exponent codes in a section — for example, E-, E+, e-, or e+. If a format contains a zero (0) or number sign (#) to the right of an exponent code, Excel displays the number in scientific format and inserts an "E" or "e". The number of zeros or number signs to the right of a code determines the number of digits in the exponent. "E-" or "e-" places a minus sign by negative exponents. "E+" or "e+" places a minus sign by negative exponents and a plus sign by positive exponents. Month versus minutes If you use the "m" or "mm" code immediately after the "h" or "hh" code (for hours), or immediately before the "ss" code (for seconds), Excel displays minutes instead of the month. Minutes versus month The "m" or "mm" code must appear immediately after the "h" or "hh" code or immediately before the "ss" code; otherwise, Microsoft Excel displays the month instead of minutes. AM and PM If the format contains an AM or PM, the hour is based on the 12-hour clock, where "AM" or "A" indicates times from midnight until noon and "PM" or "P" indicates times from noon until midnight. Otherwise, the hour is based on the 24-hour clock.